I bought this for my king mattress after discovering a bed bug problem that originated in my kids room. I bought cheap $8 vinyl covers for my box springs only to discover that there were holes in it and I continued to get bit so after getting rid of the box springs, I had no more bites or sightings of any bed bugs in my room. I do believe this cover helped to keep them trapped if they were in fact on my mattress. I bought them for my kids twin mattresses as well but it turned out that their wooden bunk bed was infested itself and even after many treatments they were still there so we got rid of their expensive bunk beds and bought new metal beds and we have been bed bug free since. Of course the whole house was treated as well and all clothing was heat treated & stored in plastic but we finally got back to somewhat normal lives although we are still cautious and continue to act as if they are still present by doing ongoing treatments to make sure they stay gone. Home territory searches the web to find the best prices and availability on Mattress Protectors and related products foir your home like AllerEase Maximum Allergy & Bed Bug Protection Zippered Mattress Protector. For this page, related items include products we find that match the following keywords: "Mattress Protector" at our vendor partner Walmart - Click More Info / Buy Now to check for price rollbacks!. 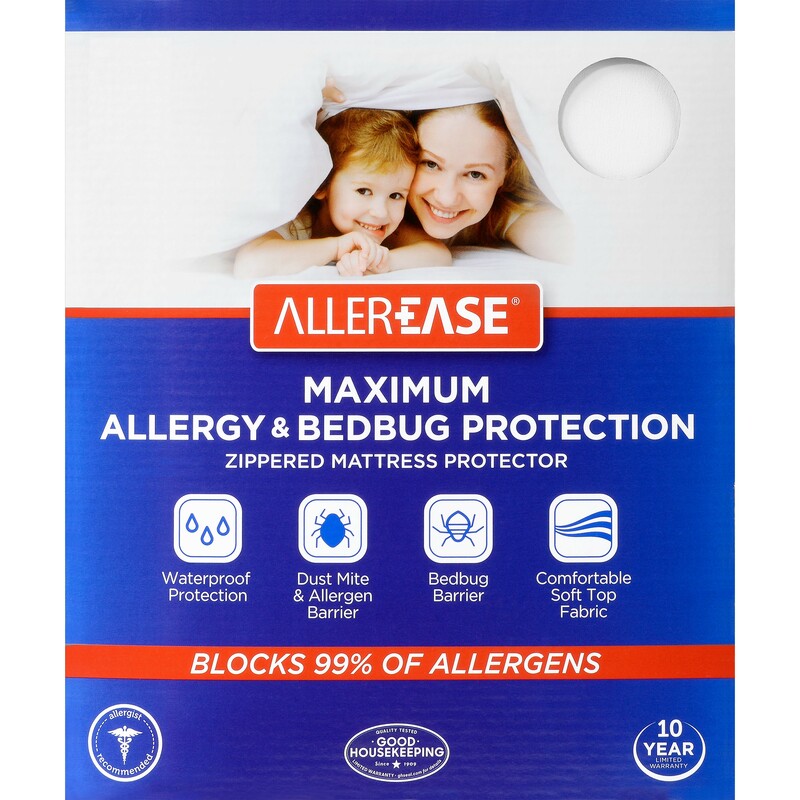 AllerEase Maximum Allergy & Bed Bug Protection Zippered Mattress Protector is one of 83 Mattress Protectors and related products available for sale through HomeTerritory.com, If you have any questions on this product, please give us a call at 734-971-1210 during the hours of 9am - 5pm EST for assistance. Thank you for shopping at Home Territory, the home furnishings superstore!